Vietnam needs to develop a legal framework and feasible roadmap to turn its wind energy potential into reality, which will help to meet the country’s rapidly rising electricity demand, experts have said. Vietnam needs to develop a legal framework and feasible roadmap to turn its wind energy potential into reality, which will help to meet the country’s rapidly rising electricity demand. Finally, the development of wind power projects in Vietnam and related approval process has remained complicated and vague. Pham Phu Uynh, deputy director of the Institute for Urban Environment and Ecology at Nguyen Trai University and one of Việt Nam’s leading scientists on wind power said that the country must have a roadmap with modern technology to make wind power feasible. For example, a five-wing wind turbine installed on a high building in Ha Noi, according to its manufacturer, can generate up to 100 Watts at a wind speed of 13m per second. But in fact, the wind speed and the turbine capacity was measured to be only 5.4 Watts. Furthermore, there are already many windmills in operation in Vietnam. The owners often imported technology from foreign firms. However, the imported cost is rather high, making the final electricity cost expensive. Vietnam’s climate is different from that of European countries, with more tropical typhoons and unstable wind speeds in coastal areas. This was a key reason that imported turbines often encountered trouble in their operation. This was something Vietnamese importers should consider carefully. First of all, Vietnam needed to build a suitable and effective support mechanism to trigger private investment. For example, the FiT should be adjusted adequately to attract investors – 10.4 US cent/kWh for onshore wind energy would make a big improvement. The country need a good strategy on energy development, particularly the utilisation of traditional energy sources like hydro-power and thermo-power, in addition to the development of new sources like solar energy, wind energy and others. 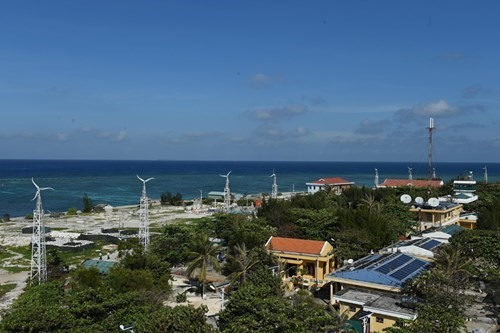 It is high time for Vietnam to focus more on the use of renewable energy, particularly wind energy, with advanced technology and its own human resources, they have said. Vietnam has great potential to develop wind power. The highest potential areas are on the south central coast, central highlands and the Mekong Delta region with about 24GW. To make a comparison, Southeast Asia’s biggest hydro-power plant, Sơn La hydro power plant, has an installed capacity of 2.4GW, according to the World Bank wind atlas in 2011. Currently five wind farms with total capacity of almost 200MW are in operation, among them the first 4 are grid-connected. REVN, the first wind farm, with capacity of 30MW, is located in Binh Thuan Province. Côog Ly wind farm, producing 99.2MW, is a nearshore project in Bac Lieu Province. Phu Lac wind farm of 24MW also in Binh Thuan Province, Huong Linh of 30MW in Quang Tri Province, and a diesel-wind hybrid project of 6MW on Phu Quy island in Binh Thuan Province.